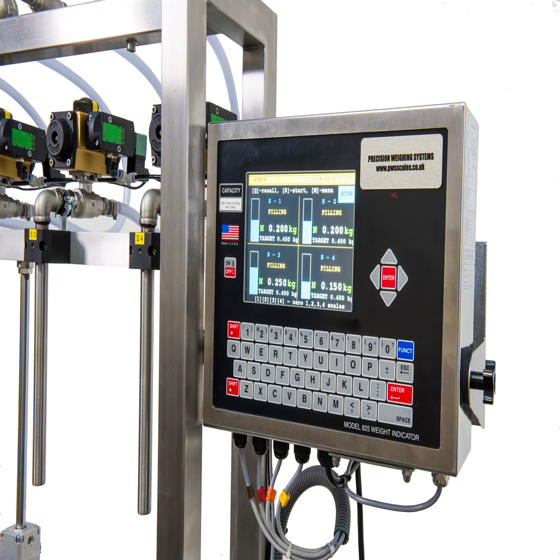 Precision Weighing Systems Ltd specialise in providing bespoke solutions for their client’s weighing applications. Over the past fifteen years we have worked closely with Holchem Laboratories Limited based in Haslingden to help improve their production capacity through innovations in the filling of liquids. At the time of the consultation Holchem were filling their containers by hand. This was not only time consuming but also laborious and meant a higher product cost. Increase productivity through the use of automation. 4 automatic fill-heads with cut off points i.e. required target weights. Improve accuracy of measurement of the products. Highly robust for a corrosive industrial environment. Easy to maintain for minimum downtime. 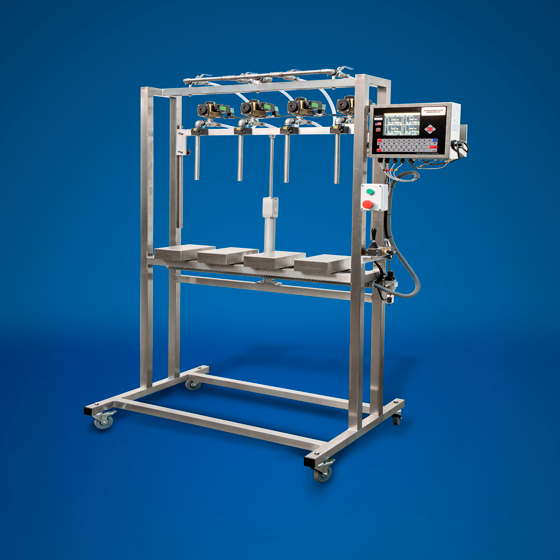 The design of a chemical filling system was under taken and the PWS Filler was developed. The results of the filling machine were closely monitored and it was found to be more productive compared to the volumetric system. Productivity increased greatly, resulting in the system paying for itself within the first four months. 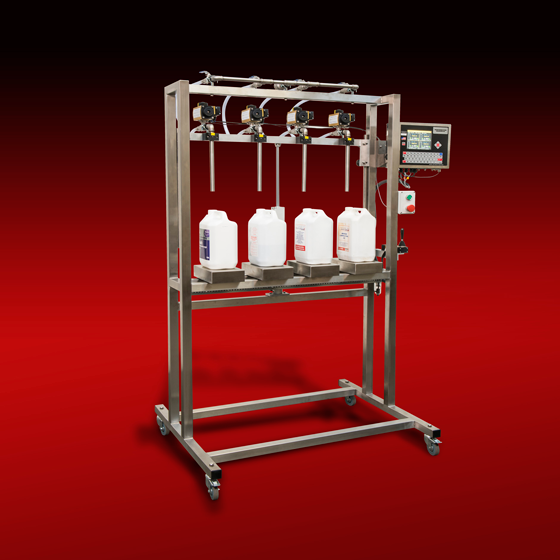 Precision Weighing have since gone onto develop other models which include a pump fed filler for viscous products that do not have a gravity feed tank, and also numerous models to assist with foaming products. Call us now to discuss your application and how we can help you develop your business.